Times are DEFINITELY changing here on this planet as more people tap into the mysticism that is ever present within and with out. As we are called to truly show up in the world as our most authentic self, there are thought leaders who are stepping up to share the wisdom, knowledge, and support for those who are embarking on this wild ride. People who are sharing their authentic truth, their stories and the things that light them up are truly stepping up to have deep and meaningful discussions to allow people to go within and discover who they truly are. This lady, is one of the goddesses that are leading the way. Ruby Warrington is the goddesspreneur behind The Numinous, a cosmic lifestyle platform that bridges the gap between the mystical and the mainstream. When you know you're being supported by a group of people who feel you and understand you, that's when you feel empowered to go out there and follow your dreams. As you begin to witness your reality, you have the power to choose to see more love in your life. Take action from that place to instill more of that. You have the power to choose what you consume. There's also great power in honoring your nervous system in order to get super attuned to the quality of your thoughts and to act from inspired action when things are going in a certain direction. It's up to you to choose to feed into the propaganda of war and fear mongering. Choosing to see love instead allows that pain and suffering to be healed and transmuted. As we begin to step into our authentic power, our fears may arise, but there's no need to fret, my love. They are showing you the areas that are ready to be healed and transmuted. Part of living in the Now Age is about honoring what arises and showering it with your love and attention. Most of the times, the things that come up are the parts of us we've disowned. Who you are is uniquely awesome and NEEDED during this paradigm shift. Finding ourselves more in a space of cooperation and collaboration instead of competition, we'll begin to foster a planet of unity. Knowing that you're supported and never alone helps you go out into the world and build your queendom with grace. 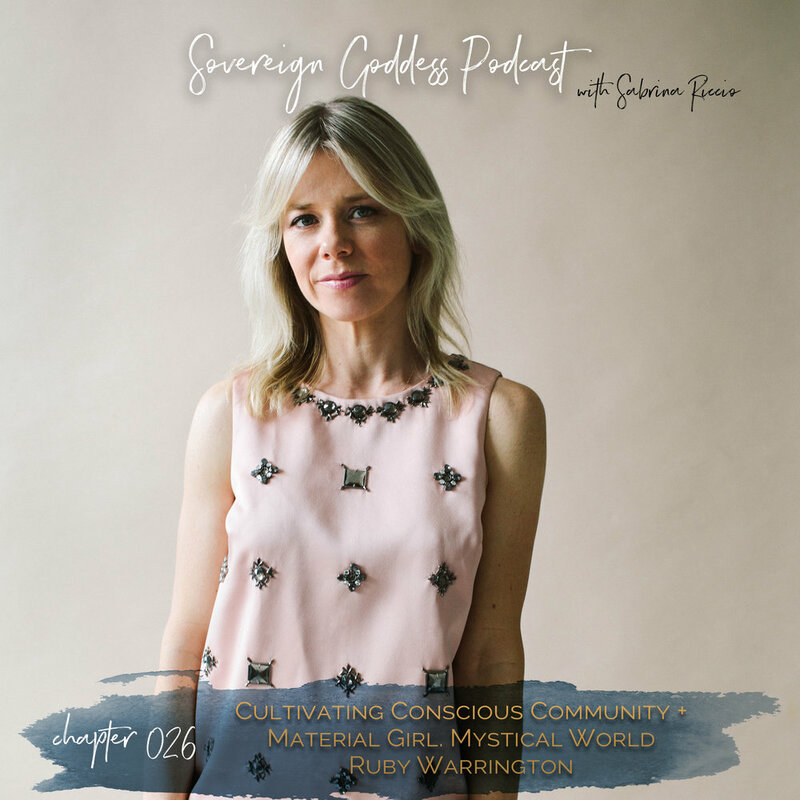 Ruby Warrington is a British journalist and author, and founder of The Numinous, a cosmic lifestyle platform that bridges the gap between the mystical and the mainstream. Ruby works regularly with brands on a consultancy basis, while her writing features in publications on both sides of the Atlantic. Other projects include "sober curious" event series Club SÖDA NYC and digital spiritual mentoring program Moon Club. Ruby's first book, Material Girl, Mystical World, is out now with Harper Collins. Both witty and wise, the book is an inspiring call-to-arms for today’s young woman, looking to find her authenticity and voice in business, relationships, and spirit.